Welcome to Summer Reading 2017! This year we’re taking advantage of the long summer days to read our way through some of our favorite series for children and young people. 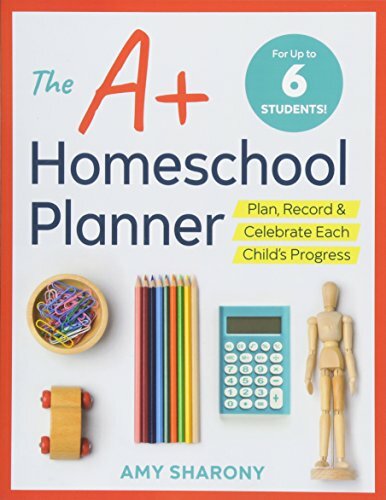 From the beginning, our homeschool has revolved around books. In preschool and kindergarten, that meant an after-breakfast readaloud (maybe My Father’s Dragon) followed by a little bit of phonics, handwriting, and math, topped off with a myths-and-legends readaloud, and then the day would end with a readaloud selection of favorite picture books. That schedule evolved with us through elementary school, as we moved up to Oz and The Odyssey, Harry Potter and Robin Hood. In middle school, we still kept the readalouds (in part because I was unwilling to give up my favorite part of the day), but we added another element: Each month or so, Mom would choose a book for the middle schooler to read and then write a mini-book report on. In general, the choosing part was fairly casual—I’d wander by the bookshelf and ask, “Have you read The Phantom Tollbooth yet, or was that your brother? Wait, you HAVEN’T read Tollbooth? 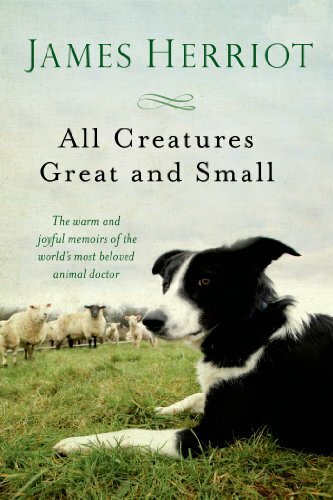 Here, drop everything and read it IMMEDIATELY.” But in our family, one of the first middle-school books assigned has traditionally been James Herriot’s All Creatures Great and Small. 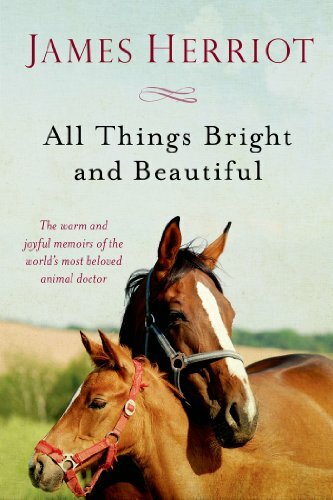 My love affair with these books—All Creatures and its sequels—goes back over 30 years. In them, Herriot tells stories of his days as a Yorkshire veterinarian working on both farm animals and pets, beginning when he is just out of school in the 1930s and has joined the practice run by eccentric Siegfried Farnon, assisted (more or less) by Siegfried’s hapless brother, Tristan. The tales are sometimes tragic, as when a farmer loses both his livestock and his livelihood, and sometimes hilarious (“Mrs. Pumphrey’s Tricki Woo has gone flop-bott again”), while always being warmly affectionate and self-deprecating. 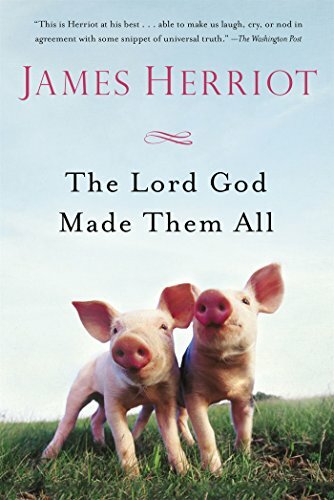 Supposedly these are Herriot’s real-life experiences—”James Herriot” is the pen name of Alf Wight—but over the years there have been different opinions on how much is real and how much is fiction, so that I’ve moved my own copies from the “memoir” shelf to “fiction” and back again, but when the writing is this enjoyable it doesn’t really matter where they end up. I was 11 or 12 when my dad first handed me All Creatures Great and Small—though we weren’t homeschoolers he was not averse to giving me the occasional “assigned reading”—and I couldn’t even tell you how many times I’ve reread it since. 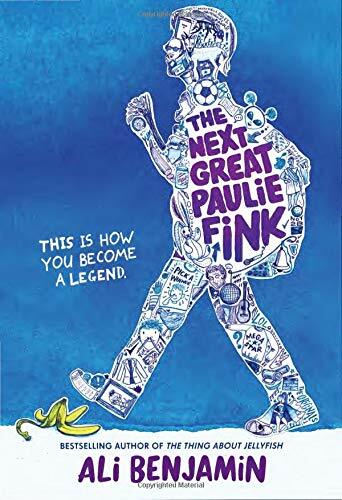 The books are long (my edition of All Creatures comes in at over 400 pages) and aren’t typically marketed to younger readers (though specific stories have been pulled out and republished for the children’s section) but the chapters come in convenient bite-sized chunks and the original series is well within the range of confident middle school readers. They’re also a great option for YA readers who may be getting a bit tired of your everyday average apocalyptic dystopian future. (If any adults in the house haven’t read them you could consider doing them as readalouds to share the fun, though I confess I never gave that a try. I wasn’t sure I could handle the Yorkshire dialect, and I didn’t really want to read aloud all those sections where James has his arm up the back-end of a cow.) These are comfort books for me and one of the few series that has been given the universal thumbs-up by everyone who I’ve forced to read them. As a bonus, once the household has had a read-through you can enjoy the 70s-80s BBC series, which stars Minister of Magic Cornelius Fudge as Siegfried Farnon and Doctor Who (number five) as Tristan. 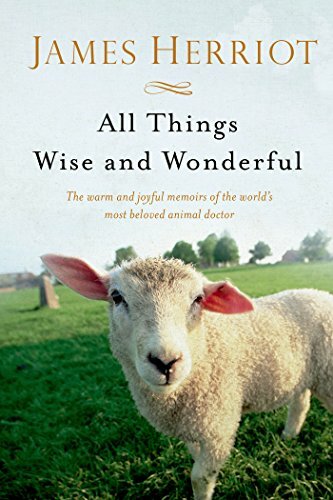 In the first book we are introduced to newly-certified veterinarian James, learning on the job as stern Yorkshire farmers glare at him and express their preference for his more experienced boss, Siegfried Farnon. Siegfried, meanwhile, is generally unflappable except in matters involving his always-in-a-scrape younger brother, Tristan. SPOILER: James manages to survive his not always auspicious beginnings in Yorkshire and even falls in love with a local girl, Helen. 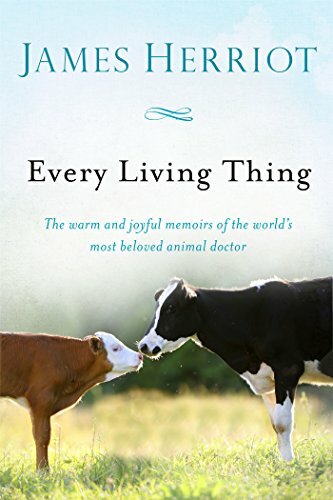 Book two has more stories with familiar characters as James enjoys married life with his very patient wife and becomes experienced enough to take charge of the occasional vet student. At the end of the 1930s James joins the R.A.F. and survives the daily life of a new recruit by reminiscing about the vet life. World War Two is over and James is back home in the Yorkshire dales with Helen and their two children. This last book was published several years after the first four and I’ll confess that I never loved it quite as much as the originals, perhaps because I haven’t reread it enough to know all the stories. Of course I would never pass up the chance to see everyone again—including Tricki Woo and Mrs. Pumphrey!